Описание:Networks are fastest-growing components in most industries. Network industries include the Internet, e-mail, telephony, computer hardware and software, music and video players, and service operations in businesses overseas, banking, law, and airlines. 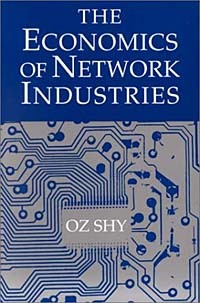 OzShy conveys the essential features of how strategic interactions among firms are affected by network activity, and how social interaction influences consumers' choices of products and services. Oz Shy is on the faculty of economics at the University of Haifa, in Haifa, Israel. His previous book is Industrial Organization: Theory and Applications (MIT Press, 1996).